To see the rest of the peeler places, go to www.thrillist.com/travel/nation/best-strip-club-in-every-state-florida-california-new-york-and-more. The tireless trivia gatherers at Thrillist.com have released its scientific conclusions to compile “Every state in the USA, ranked by its fast food”. About Colorado, Thrillist said, “The billion-dollar burrito makers at Chipotle started with one restaurant that caught on and became a phenomenon. But CO also can claim Quiznos, Qdoba, Noodles & Company, and Smashburger as homegrown success stories – as well as local up-and-comer Good Times, known for tasty custard, but sadly not based on a TV show from the ’70s. For the rest of the rankings, go to www.thrillist.com/eat/nation/united-states-fast-food-rankings-best-fast-food-in-america. The edgy website recommends that readers might be more successful in accomplishing the event attendance than in keeping a New Year’s resolution. “Since the chances of keeping your New Year’s resolution to ‘work out’ are about as good as last year’s effort to ‘stop drinking,’ best make a resolution this go-around that you actually WANT to keep. Like ‘”travel more’, or ‘be more adventurous’, or ‘hit the most awesome event in every state,’ if you want to be weirdly specific,” according to Thrillist. 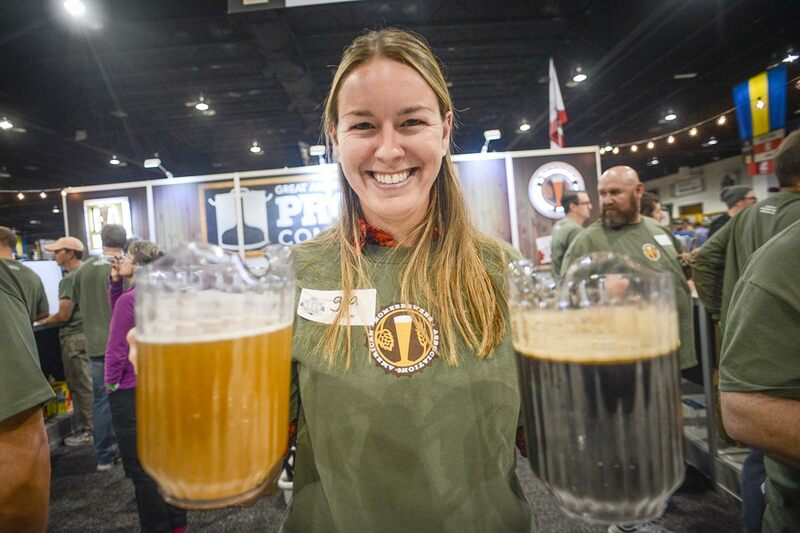 Good luck is especially appropriate in the case of Colorado’s can’t-miss event pick: The Great American Beer Festival Sept. 24 to 26 in Denver. Tickets last year sold out in 32 minutes, so this can’t-miss may well be a can-miss if you aren’t a lucky ticket holder. “This is like those little 250-brewer weekend festivals where you stroll around and sip beer until you can’t taste it anymore, but on really, really good B12 injections. Here, attendees dress in zany costumes and sample pretty much every beer (they’ve) ever heard of (and even more that they haven’t). Check out the selections for other states at www.thrillist.com/travel/nation/best-event-in-every-state-the-kentucky-derby-iron-bowl-mardis-gras-and-more. Thrillist.com, the Internet commentator on all things food related, has chosen RiNo, Denver’s Riverfront North neighborhood, as one of The 18 Best Food Neighborhoods in America. While RiNo as a destination dining ‘hood is fairly new and continually growing, its foodie scene lacks historical reference to call upon, unlike other neighborhoods in New Orleans, Boston, Charleston, Chicago and San Francisco, which are also on the list. Here’s what Thrillist said about RiNo, “Once upon a time, this was a neighborhood Denverites would go to if they wanted to have a nice night out… and then get mugged afterwards. Now? It’s practically swarming with hot restaurants and breweries. Part of that is due to The Source, an enormous 20,000-square-foot artisan food market that houses one of Denver’s best restaurants (Acorn), coffee roasters (Boxcar), breweries (Crooked Stave) and plenty more. See the other 17 picks at www.thrillist.com/eat/nation/18-best-food-neighborhoods-in-america-flushing-west-loop-the-mission. Wacky for the World Cup? Looking to hang out with like-minded folks? Know the difference between futbol and football? I can think of at least one former Denver Post colleague who’s going nuts now. (He roots for Spain, where his roots are). Thrillist.com, the national website expert on all things hip in the food and drink world, has compiled a list of places to watch the World Cup in Denver. Check out the places where the cool kids watch the World Cup at www.thrillist.com/drink/denver/places-to-watch-world-cup-2014-in-denver-things-to-do-in-denver.